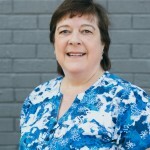 Cynthia “Cyndi” S., LMT (KY-3595) received her training in massage therapy from Advanced Massage Therapeutics in Louisville, KY. She began her massage therapy career in 2010 after retiring from State Government. She is trained in Swedish massage, deep tissue massage, myofascial massage and pressure point therapy. Cyndi is dedicated to advancing wellness and reducing stress through the use of massage. She is a member of the American Massage Therapy Association and volunteers her massage skills to Hosparus.